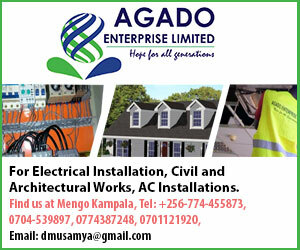 Economists have expressed deep worry that Uganda’s industrialisation strategy is showing signs of faltering because of the high cost of electricity that is discouraging manufacturers as well as potential investors into agricultural processing which would help to transform the agricultural sector and the whole economy. Speaking at the monthly Makerere University Business School (MUBS) Economic Forum, economists almost unanimously concluded that the government is superficially keeping the cost of electricity high which is having a negative impact on the economy, the environment as well as the country’s ability to repay its mounting debt. Francis Kamulegeya, the Head of the Global Accounting firm PWC, in Uganda, revealed that from discussions he has had with manufacturers, most of them are operating at just above 50% of their capacity because of the high cost of power. “Previously, the problem with electricity was about availability and reliability. Now however, most manufacturers I have spoken with, say that the issue is affordability,” Kamulegeya said. He argued that since the dams, such as Bujagali Hydro Power dam was built, using borrowed money, the country now produces excess electricity. He further noted the government needs to lower the cost of power to motivate manufacturers and industrialists to set up factories that will create jobs, spur greater economic activity that would in turn help to generate more taxes to enable the country pay back its debts. 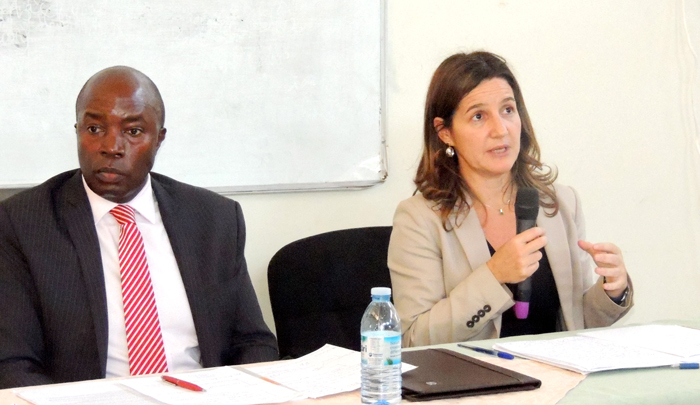 He made the comments while discussing the latest IMF’s Regional Economic Outlook presentation that was delivered by Clara Mira, the bank’s Country Representative, at Makerere University Business School’s (MUBS) Economic Forum, this week. Kamulegeya challenged the idea that increased investments into the infrastructure sector in Uganda, especially in the power sector, has been a worthwhile investment for a resource-stressed economy as the multi-lateral lender has passionately advocated before and continues to do so. “Some of the infrastructure projects have very little economic value for the country. When it comes to investments into the electricity sector, I get even more concerned. Manufacturers are working at around 53% of their capacity. One wonders then why do we have so many projects if their presence is not contributing to lowering the price of power? It is even more important to address this challenge because as Ugandans, we are paying back money for all the installed capacity,” wondered Kamulegeya. He decried the fact that hydro power dams such as Bujagali, whose construction continues to be shouldered by taxpayers through loan servicing, are producing power that is not being demanded by the population simply because of the high cost. Reports from the electricity generation company indicates that peak demand for electricity in Uganda has stagnated at around 680MegaWatts at peak time in recent years, and yet taxpayers are paying for the entire installed capacity of close to 1000MW. He dismissed the argument that has been presented before by the Minister of Energy Irene Muloni that the problem in the electricity sector is lack of adequate demand. While speaking at a meeting in the Ministry of Finance in April 2018, Minister Muloni said the high cost of power was due to limited number of customers. But many people disagree with this line of argument. Like Kamulegeya, the Dean of the Faculty of Commerce at MUBS, Dr. Isaac Nkote also lamented the fact that hundreds of Ugandans simply look on wires crossing their compounds and gardens without being able to tap onto it. He further warned that high cost of electricity is leading to deforestation as millions of people are forced to use biomass like charcoal and firewood to meet their energy demand. On average, small-scale industrialists spend UGX650 per kilowatt unit of electricity, and nearly UGX 1000 per unit of electricity by domestic consumers. Prof. Erisa Ochieng, an independent economic consultant illustrated the country’s failure to realise benefits from years of electricity investment when he remarked that hundreds of thousands of graduates are now working as kiosk attendants or taxi touts and drivers, hence the expansion of the services sector over the productive sectors. For as long as people are not engaged in the productive sector, poverty will continue to rise. Prof. Ochieng’s comment was triggered by the Clara Mira’s caution that government needs to address the challenge of low incomes in order to achieve the Sustainable Development Goals. For Kamulegeya, the government needs to encourage the establishment of more import-substitution industries, processing factories to add value to agro-products but also end dependance of rain fed agriculture. “A lot of the things that we import these days were actually being produced locally in Jinja and other industrial zones back in the 1960s and 70s. What we need now is for the government to take deliberate steps to start producing some of the things we are currently importing,” Kamulegeya advised. Is more Aid to Karamoja perpetuating poverty and ill health?